Sarah Kane’s brief and controversial career came to an abrupt end by suicide in 1999 when she was only 28 years old. With only five plays to her credit, she has had an outsized influence on millenial theatre. Her work is visceral, brutal, famously in your face, violent, poetic, and, arguably, extremely neurotic. Because of the undeniable intensity of her language, and her genuine poetic talent, her oeuvre has proven irresistable to directors and companies with a fondness for intensity and a reputation for being avante garde. It is no surprise that Anton’s Well, and director Robert Estes, would want to tackle “4.48 Psychosis.” They have previously presented excellent productions of hermetic plays of exceptional intensity such as “This Wide Night” by Chloë Moss, and “Tender Napalm” by Philip Ridley. One problem, with Kane’s play, I think, is that it is little more than a sketch of ideas for a play. They are brilliant ideas, certainly, several surprising monologues, but nothing seems to adhere. There are no relationships (except the barest suggestion of a therapist/client relationship), and almost no plot. The theme of the play is depression. The title, according to the playwright, refers to 4:48 in the morning, a time when, in the throes of clinical depression, she would often awake, haunted by despair and thoughts of suicide and self loathing. The words of the play are drawn, one supposes, from the thoughts that ran through her head compulsively at such times. There are snatches of memory, internal monologues, cries of pain, expressions of anger, but all disconnected and seemingly random. To capture this randomness, the play does not have scenes but 24 discrete sections, like individual prose poems or sketches of some sort. Kane provides no instruction on how the sketches are to be performed, and directors have taken various liberties. The play has been presented by one actress, by multiple actors, and, on one occasion as an opera. For this production, the company has decided to work with three actresses, incorporated a range of modernist music, and choreographed many sequences so completely that it could be considered a dance drama. In the opening sequence, a female voice asks (perhaps speaking a challenge to herself), “What do you offer your friends to make them so supportive. What do you offer?” The question, “What do you offer?” is surely one that would haunt a depressive, as one of the most notable symptoms of depression is the belief that one has nothing to offer, and that one’s friends and family might be better off if you committed suicide. It was days before the premiere of this play that the playwright committed suicide. Many critics have expressed the opinion that it is more of a suicide note than a work of art. Could it be both? I suspect that the text can provide the scaffolding for a great work of art, with the many possibilities it offers for interpretation and variation. So the question I ask myself as a reviewer is whether this particular production succeeded in making something of the text, or not. Is this a devestating suicide note? Or something more transcendent? In spite of some excellent work, particularly in the choreography, I can’t conclude that the production succeeds, at least for me. As I experienced it, the three actresses, while capable, did not explore a wide enough emotional range. There are suggestions in the text of joy, of memory, of love, of relationships that have failed, of a passion for art—a great deal beyond the cage of depression. But none of these suggestions are developed. It seems as though the actresses have been directed to remain locked in depression, in order to communicate to the audience the depth of desperation that leads to suicide. But, for me, this had the effect of depressing me rather than engaging me. That may be the intent, but I don’t think it is a wise theatrical choice. When I was an acting student, I recall a teacher’s advice that a good actor can play any thing except “boredom”—you can’t make boredom engaging. And I suspect the same is true for depression. In the theatre, we need something more. In conclusion I would say this: Theatregoers with a special taste for the experimental and unusual, or with a great respect for the talent of Sarah Kane, or an interest in the clinical details of suicidal depression may well be fascinated by “4.48 Pyschosis,” and leave the theatre with a lot to ponder. For the rest of us, perhaps not so much. 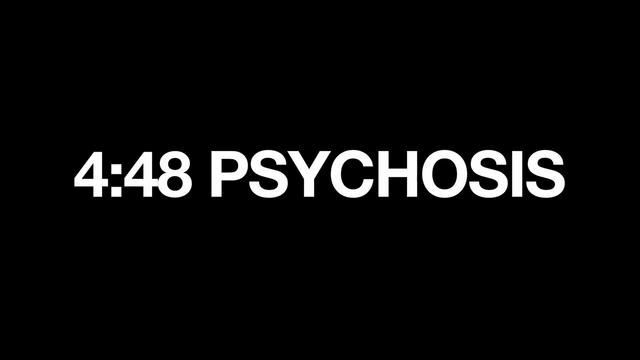 “4.48 Psychosis” plays at Temescal Arts Center though August 5th. For further information, click here. “4.48 Psychosis” by Sarah Kane, presented by Anton’s Well Theater Company. Director: Robert Estes. Choreographer: Bridgette Loriaux. Lighting Design: NathanBogner. Costume Design: Katja Rivera. Additional Choreography: Anastasia Barron. 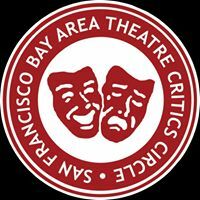 Posted in Reviews.Tagged 4.48 Psychosis, Anton's Well Theater Company, Bridgette Loriaux, Charles Kruger, Robert Estes, Sarah Kane, Temescal Arts Center, theatrestorm.